Waste not want not. 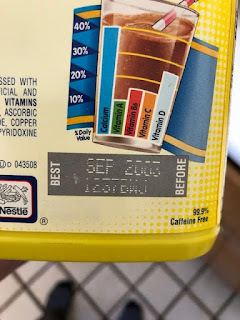 You never know when some Nesquick might come in handy! 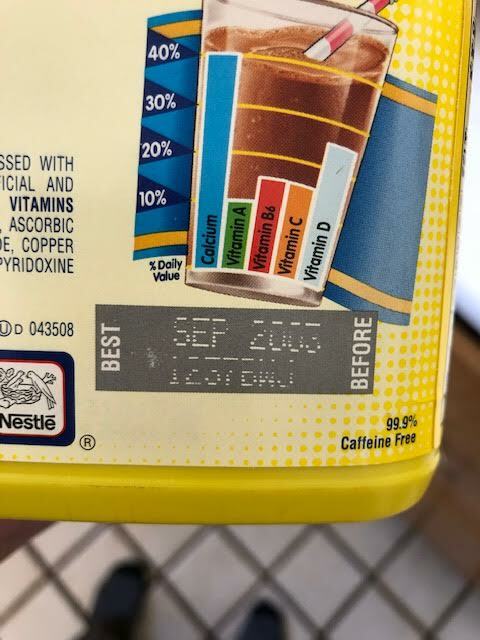 Also best before dates are a corporate scam. gah, my in-law's house was like that too! and not only food, but general junk. plenty of general junk went to goodwill, the unexpired food was divided between my spouse & his brother, the expired/opened stuff was tossed. my in-laws were pack rats, as is my spouse. good for you; you are a good son. I often hear this tale viz. clearing out the cupboards of our elderly loved ones to discover things old as time.